One of the best things you can do when you publish a new blog post is publish a link to that post on the various social networks you use. It keeps up your social activity – though you do need non-promotional posts occasionally – and it spreads awareness of your new post. The trouble is, it can take a while to do. It’s annoying and time consuming to take your blog post link and go to each social network in turn, writing a post and putting up the link. Savvy marketers are always looking for ways to save hassle or time via automation. This is one case where you can automate simple tasks and save yourself a lot of annoyance. 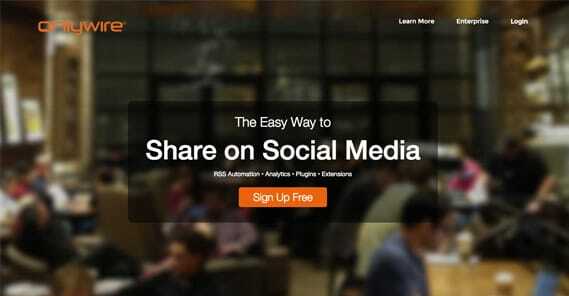 That’s why I’ve compiled a huge list of tools, plugins, and methods you can use to share your posts. Just be wary; automation has its downsides. If your social profile is nothing but an automated feed, people aren’t going to follow it or pay it any attention. Only use automation for some of your posting, and make sure you give the profile the attention it deserves. This is the option the vast majority of you will want to use, for one simple reason; it’s included by default with WordPress.com and is a very simple, easy integration with WordPress.org. 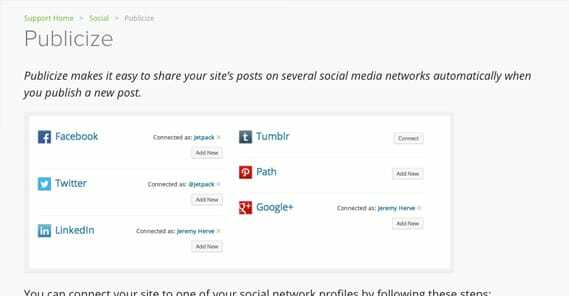 It supports a bunch of different social networks, and all you need to do is click a button to log in to that network and authorize Jetpack. From there, just configure how you want it to post when a new blog post is published, and your automatic posting will be set up and ready to go. This is a very simple autoposter with one unique feature, which is the comment grabber. 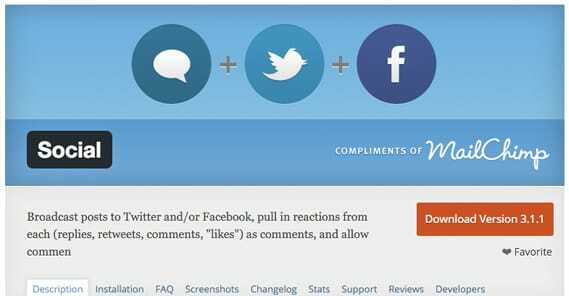 It will fetch comments left on Facebook or Twitter and publish them to your blog as well. However, it is limited to just those two social networks. Use caution, though; this is an old plugin that has not been officially updated in nearly three years. As such, you never know if it has an open security hole or an incompatibility with other recent plugins. 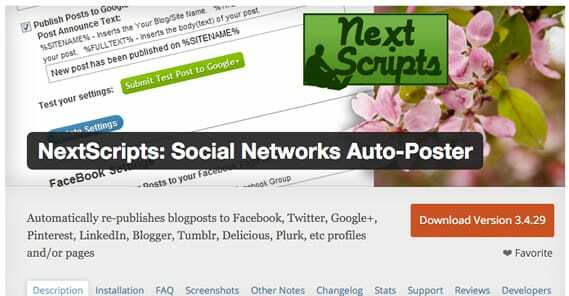 SNAP, by NextScripts, is one of the most popular autoshare plugins available. It supports a wide variety of social networks, some that barely even fit the description. The list includes the big names, as well as LiveJounral, Plurk, VK, Scoop.it, and more. This plugin is also very well supported and kept up to date, with the most recent update being two weeks ago as of the time of this writing. 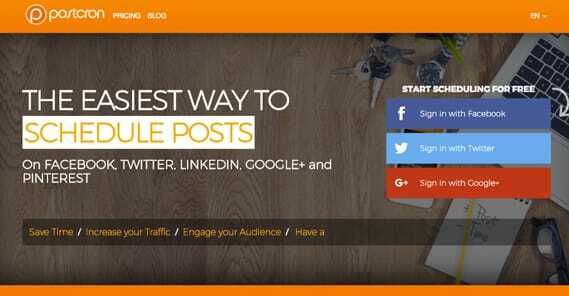 Initially concepted to post to microblog sites like Tumblr, this plugin has expanded. It’s still smaller than something like SNAP, but it also supports sharing old content, rather than just new published content. 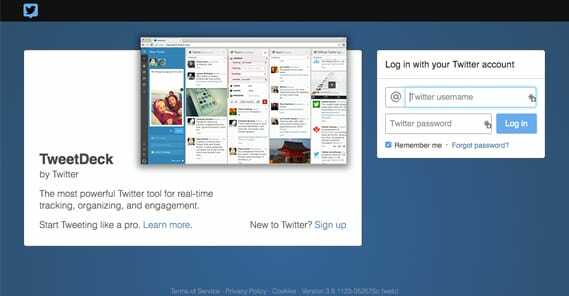 It allows multiple accounts per social network, as well as shortcodes. Additionally, they have support staff that speak English, Russian, and French, for multilingual assistance. If This Then That is a workflow recipe system. 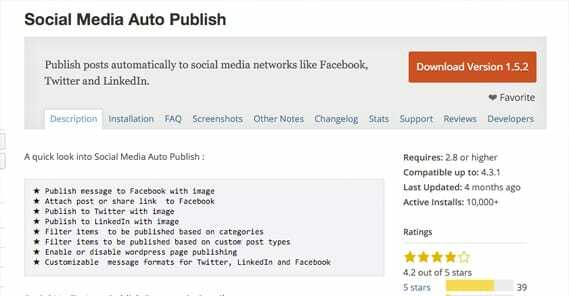 It’s excellent for autoshares, but you will have to set up individual recipes for each social network. Essentially, you will run off your blog RSS. 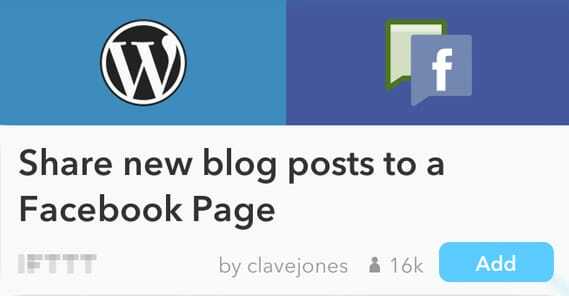 When a new RSS entry is made, IFTTT can then push an update to the social network of choice. You will have many recipes, like RSS to Twitter, RSS to Facebook, and RSS to Tumblr, or whatever else you happen to use. 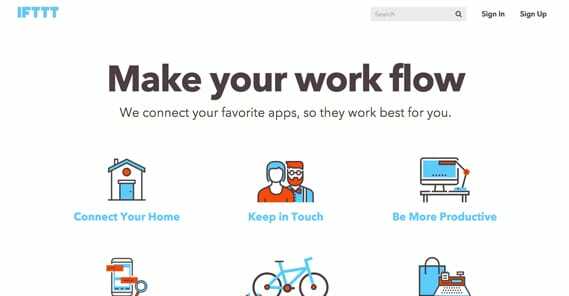 As a bonus, IFTTT is very robust and lets you do a ton of other automation as well. DeliverIt – minus the vowels as is so trendy with web 3.0 branding – accepts input from five RSS feeds, publishes to 3 social pages, and checks for updates every 30 minutes on an ongoing basis. It has the ability to upgrade to paid plans that publish to a much broader range of profiles, if you like it enough to pay for it. One of the premier content curation and autosharing plugins available, it allows detailed post scheduling as well as automatic social sharing. 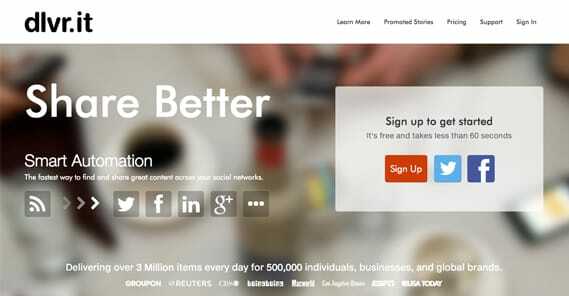 You can also create content through it using Pablo, their new content creation engine. Buffer is high profile, well-supported, and it’s free for the basic plan. There are, as always, paid upgrades if you choose to use them. Powered by the fantastic MailChimp, this plugin has the same comment grabber features as some of the other plugins on this list. It integrates easily with MailChimp, of course. Automatically post to major social networks, pull replies as comments, and swap through different social identities for posting. The social publishing wing of HootSuite is another one of those side features that integrates really well with a broader plugin or CMS, in this case HootSuite itself. Not only does it allow blog to profile automatic posting, but it also does all sorts of social management, including moderation and the management of a content library. As always, if you like it, consider upgrading to the paid plans; they’re worth the money. 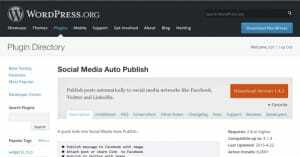 Produced by 99Robots, this plugin primarily focuses on Twitter. The emphasis of this plugin is not the initial publication of your content, but rather the extended republication of it down the line. When we recommend that you tweet about content on publication, later that day, the next day, and in the coming weeks, it can get obnoxious remembering to do all of it. That’s what this plugin is for; managing that scheduling automatically. This shockingly yellow-brown site is managed by Bitly, the prominent URL shortener company. They make you sign up with an account, either via email or through another social network – Google, LinkedIn, and Yahoo are listed, but Blogger, WordPress, OpenID, AOL, Flickr, Verisign, Hyves, LiveJournal, and Netlog are all supported. Which is odd, because no one uses half of those and cares about marketing. Still, it’s a basic RSS to Twitter app, and it works just fine. Very few social media auto posters take Reddit into consideration, and with good reason; the site is very sensitive about automatic posts made in their subs. However, you can still use custom bots to post for you, if you’re careful about how you do it. That, or you can make your own subreddit and make the rules yourself. That’s up to you. This is one of the few widespread social autoposters that will do Reddit, because it’s specifically designed to send posts to social bookmrking sites. It’s free, the plugin is easy to use, and it works with Slashdot, Reddit, Digg, Fark, and a handful of others. This is another one that works both for social media sites and social bookmarking sites. It’s perhaps one of the bigger options, in that it has RSS automation alongside various extensions, and a whole pile of analytics. As any good marketers knows, analytics are the key to success, and this is no different. Make use of them and you can get a lot of value out of automated posting. 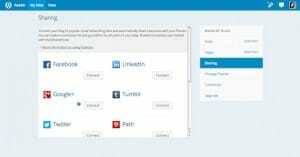 Previously known as Tweet Old Post, this plugin is specifically designed to help you tweet older content that may not be published recently. It doesn’t run off RSS like so many others, so you don’t need to bother with setting up an RSS feed just for automation. It does have a pro version, which is required to share image posts on Twitter, so make sure you want that functionality before you buy. Also, make sure to update your old posts before you promote them, so you’re not promoting outdated or invalid information. This is a somewhat gray hat option, but most of the black hat features are gated behind the paid versions. With the free version, you have an activity feed and leaderboard, you have a whole tribe social system, and you have the ability to share and submit content on over 50 websites. It also shares blog comments, but I don’t recommend automatic comment submission on blogs. That road leads to spam. Not to be confused with SNAP, SMAP supports Facebook, Twitter, and LinkedIn. They do image posts as well as text posts, allow category filtering, and allow custom post type filtering. It’s also kept relatively up to date, with updates only a few months ago. The one unfortunate downside is just that it handles so few social networks. If you wanted Pinterest or Instagram posting, you’re out of luck. Speaking of Pinterest, that’s one social network that is often woefully underrepresented in the world of social media autoshares. If you post graphical content frequently and you want it posted to Pinterest, this is one of your best bets. It’s completely free and only requires your name and email address to sign up. This plugin is like a smaller version of SMAP above, in that it’s made by the same person and it has all of the same features, except it only works on Facebook and not on any of the other social networks. Really, if the only network you use is Facebook, this plugin will probably be more than enough for you. This app has both a free and a professional version, with a great comparison of their features on their homepage. It works with Twitter above all else, but allows you to manage up to five Twitter accounts at a time. It also has a whole lot of additional Twitter management features, if you need them. Yes, PP is technically a paid app, but it’s really great and it’s really cheap. There’s not much reason to avoid it just on the grounds of $7 a month. Skip two coffees any time during the month and you’ve got it covered. PostPlanner does all of the automation you could want for Facebook, plus a whole lot of extra features. Free and perfectly accessible on Twitter, this app has a lot of Twitter management capabilities, along with autoshare capabilities, scheduled tweets, curated feeds, lists, multiple account management, and a whole lot more. This one covers a bunch of different social networks, but it notably covers many that are hard to automatically post to. The reason it’s listed as free when it’s not, besides the free trial, is that it’s one of the only apps that does Pinterest, Google+ and Instagram all at the same time. Normally, you’ll be out of luck, or will need to use three different apps for those three sites. Maybe you want some additional functionality. Maybe you want more customization. Maybe you just don’t trust outside code. Whatever the case, it’s actually really easy to make your own Twitter app. All you need is a little bit of coding know-how and access to Google Scripts. Mock something up, make it a Twitter app, and you’re good to go. This option is less of an autoshare system and more of a blog network. 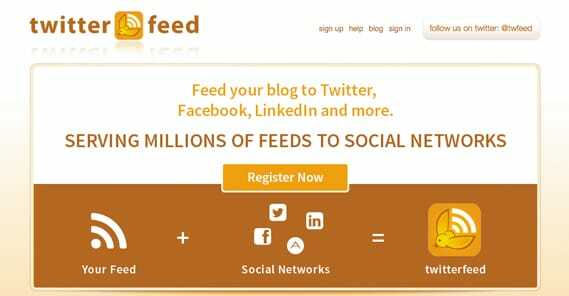 You register via Facebook and post a link to your blog, and it is added to a massive list of blogs that are shared, shown, and posted around the web. Some great sites use the system, and a lot of mediocre sites as well. I know this post is about free plugins, but there a few great plugins worth mentioning that have a small monthly fee. Rocking a very Patreon-like logo, Postcron hooks into 15 social accounts and allows teams to manage it, with a bunch of additional features to make automation that much easier. It’s $10 a month, with a discount if you pay annually, as these sorts of apps are so frequently encouraging. It’s pretty basic all things considered, but it handles large volumes quite well. This takes your initially posted content and shares it throughout the web, but it also goes one step further, putting it in front of audiences that are highly likely to be interested in what you have to say. Think of it like a viral surge in a box. The only drawback is that it’s not free. The lower level is $15 and gives you a fixed number of usage credits per month. Did I mention this is gray hat? Yeah, be careful using it; it can look a lot like reciprocal link networks from the outside. This is an application I would be careful with if I were you. The software works and is recommended by some big name bloggers, but the website seems a little sketchy to me. It has all the hallmarks of a templated affiliate site. That said, it’s a relatively low one-time fee rather than a monthly payment, which warranted inclusion. 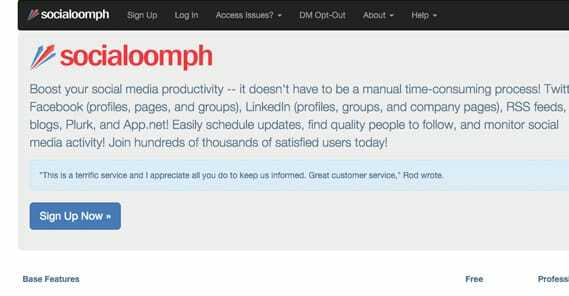 This works very much like the IFTTT method of taking RSS input and publishing to social media. Unfortunately, while it had a free plan, that free plan was disabled. The cheapest plan is $5 per month and limits you to one target. For $10 per month you get 10 targets, an incredible number of monthly tasks, and some other features. It’s limited to just Facebook, Twitter, LinkedIn, and VK, though. This is one of those high-end enterprise-level management programs you hear about on the radio and see posted about around the web. It has a free trial, but it’s only 14 days, so I didn’t include it with the rest of the free plugins. For the fee, though, you get a ton of features, ranging from blog autoshares to editorial calendars, Evernote integration, a Chrome extension, and a lot more. This plugin was going to go up in the free section, but they hid a little fine print around. They offer a “free” plugin but it stops working after 45 days and nags you to pay their fee, which is 10 Euros per month. Honestly, it’s not even that great a plugin, given how few sites it works with and how little customization it has. 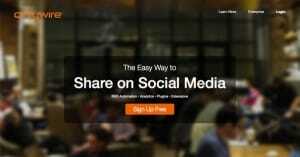 What is your favorite sharing plugin? Let us know in the comments below!